Home > BOOKS>"Elemento Alpha - a origem"
Detroit, United States. The scientist responsible for the secret research funded by Gordon Sobchak, CEO of the multinational ShalvaTech Corporation, is summoned with a demand - to reveal the Alpha Element to the world! But the response of the American millionaire is unequivocal: " If the public knew what we know, it wouln't be able to handle this information. God, as we know it, would probably be the first to die!" Answers Sobchak before coldly murdering the scientist. In the Azores, David Alvares Cabral, former member of the Special Operations Group of the Police, is surprised when, in front of him, a strange man is assaulted by three attackers and, in the confusion, gets shot. His last words to David were: "The Alpha Element... people have to know." This is the event that draws David and Miguel Castro, an Europol staff in charge, to a dazzling adventure through the European and American continents and throws them into a deadly conspiracy at the level of the highest global entities. Supported by Europol, spied on by the CIA and harassed by deadly corporate mercenaries, they find themselves in a wild race through scientific puzzles that exposes an overwhelming NASA secret. 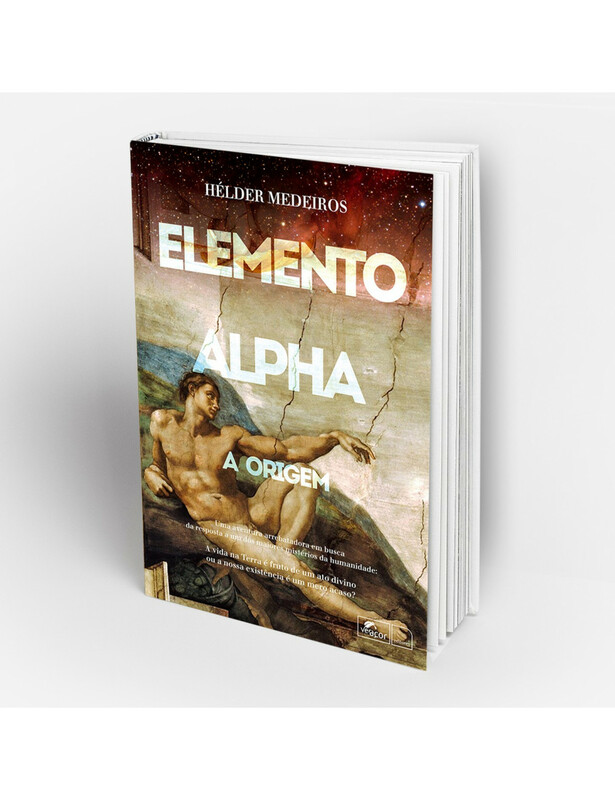 A secret that, in awe for the two Portuguese, leads them to the Alpha Element and to the response to one of the greatest mysteries of mankind: Who are we?